There’s something oddly familiar about writing about the Israel-Palestine conflict. It’s a sadly unending tale, and one where the act of talking about it is as divisive (sometimes astonishingly so) as the story itself. Whenever we get close to something like a resolution in Israel and Palestine, whenever there seems to be some kind of hope, there’s new grievance, new pain, new conflict. The last eight years cannot be said to be positive for the conflict (indeed, Obama escalated the military capability of the Israelis), but there is always some hope when a new American regime enters power. Oh yeah, another unavoidable element to this conflict: American involvement is just as vital to consider as the story itself. When Trump replaced Obama, we all knew that the story would continue. And indeed, it did. The ultra-conservative Netanyahu took advantage of the new President’s desire to bolster Israel against Palestine (as well as his general antipathy towards Muslims), and suddenly new settlements were announced. Well, while we have a general sense of where this is all headed, we still can’t say anything of substance regarding the new chapter in this conflict, until something of actual political significance takes place i.e. a summit (which, in the long history of the conflict, is how time-frames have been developed and defined). But if we want to talk about a renewal of the eighties and nineties, and a time when talking about Israel is once again a dangerous political thing to do, then that looks pretty appropriate. We’re now again at the stage where British universities (to take one example) are possibly silencing critics of Israel. 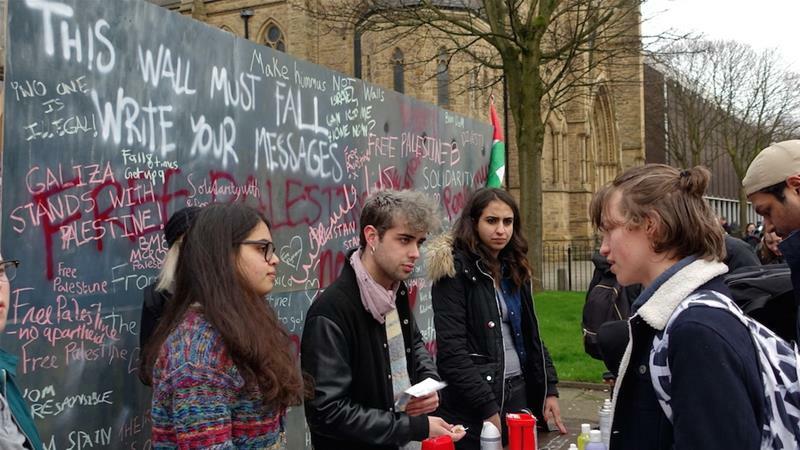 The University of Manchester has been very peculiar in measuring and monitoring an event which is critical of Israel – although the event has been allowed to go ahead, with a limited time frame, and a restriction on the academic who could take charge of it. This is different from the ’no-platforming‘ protests which happen across the world. When a person is ’no-platformed‘, they face a grassroots protest which is designed to challenge the amplification and legitimisation of their views; it is not a challenge to free speech. When an institution or power gets involved, and decides to monitor the activities of the grassroots at their base (when that organisation poses no threat to the physical safety of others and explicitly condones hate, hate-speech and violence) then that is something else. It recalls an earlier state of play when groups and academics could be subject to institutional intervention for holding non-aggressive, critical views. While the right cries foul over non-platforming, political correctness and the destruction of free-speech, the real problems are institutional ones – which puts power firmly against the ability to speak out.